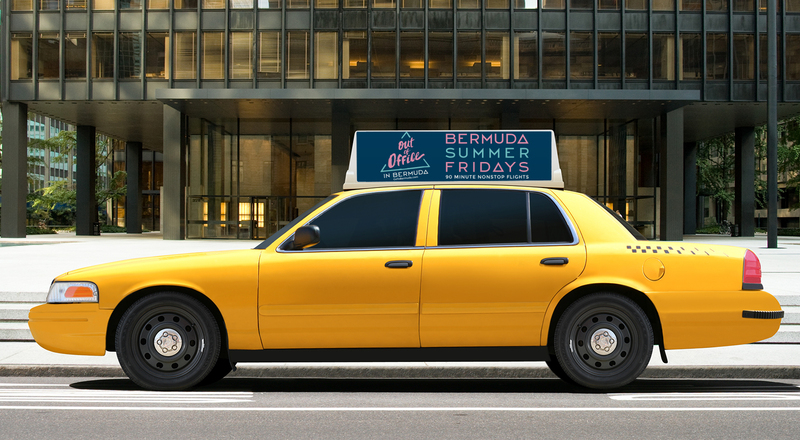 The island of Bermuda realized their value proposition was unclear. They had fallen off the radar and were no longer a part of the conversation when people were considering travel destinations. Working closely with the Bermuda Tourism Authority, it quickly became MMGY’s mission to find out why and to do something about it. MMGY’s HEMISPHERESTM branding process helped uncover key insights about the brand. 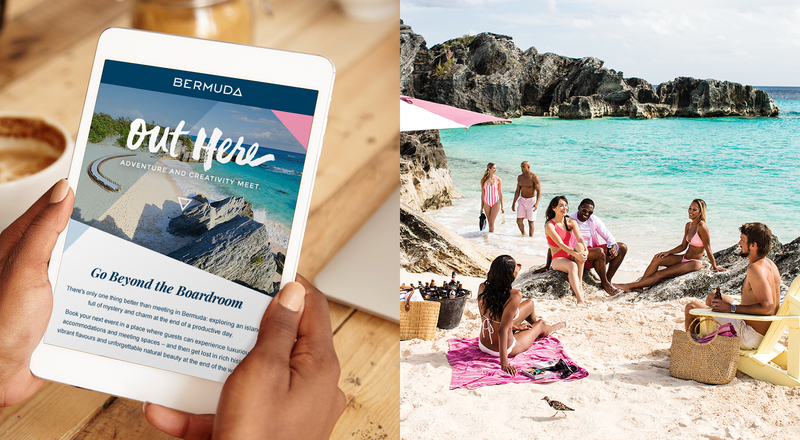 Coupling the branding process with key stakeholder interviews and proprietary research, we then developed a refreshed positioning statement and brand architecture for the island of Bermuda. 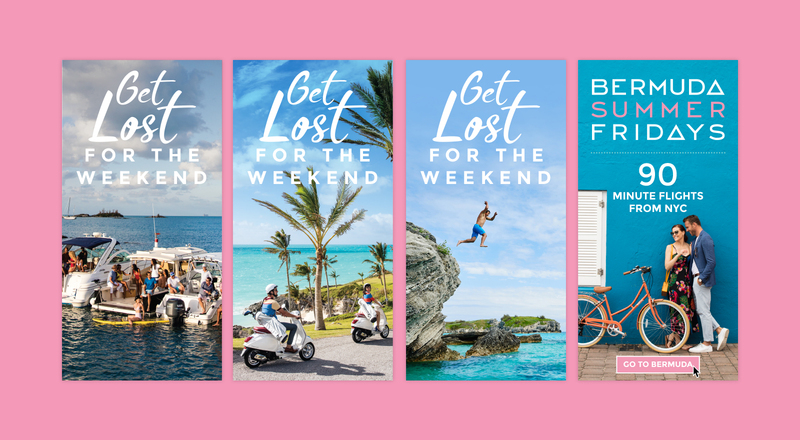 The result was new brand messaging that embraces Bermuda’s mysterious allure, utilizing the concept of “Out Here” to help travelers connect to Bermuda’s amazing mix of people, cultures and one-of-a-kind mystique. MMGY also created and launched integrated marketing efforts inclusive of newspaper, magazine, out-of-home, and digital and social media. 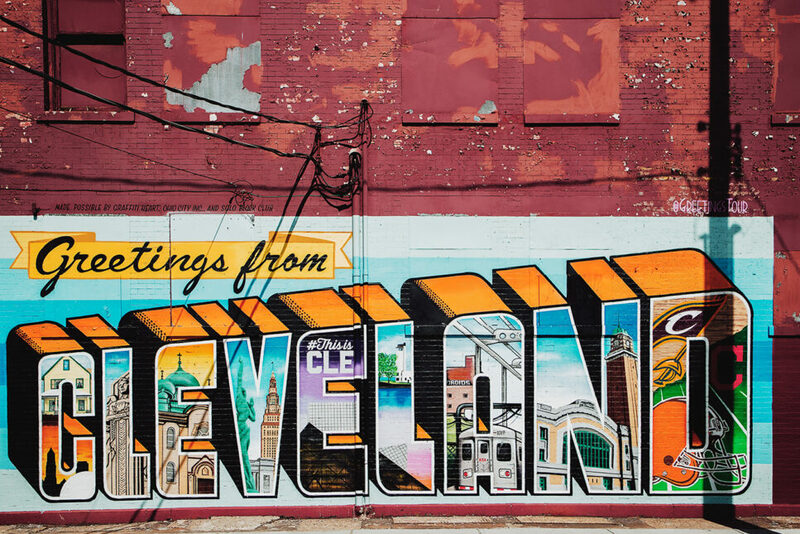 The new brand was introduced in television spots during the Oscars® as well as through print advertisements in publications including USA TODAY, Afar, Travel + Leisure and The New York Times. 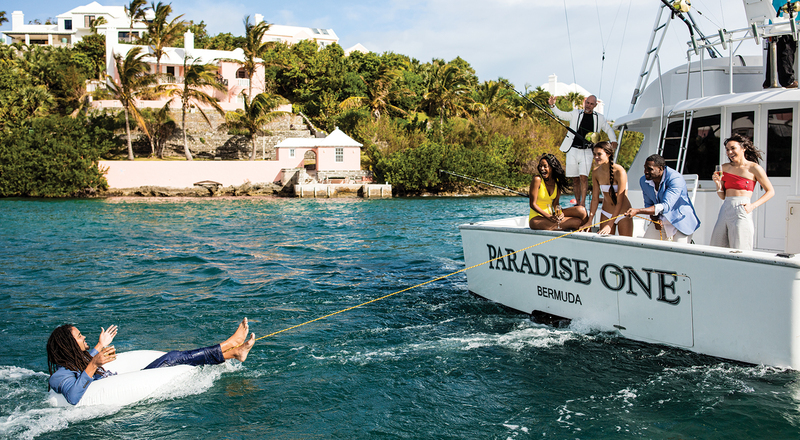 All media ran in national and regional outlets and was targeted to specific traveler personas in Bermuda’s core feeder markets. 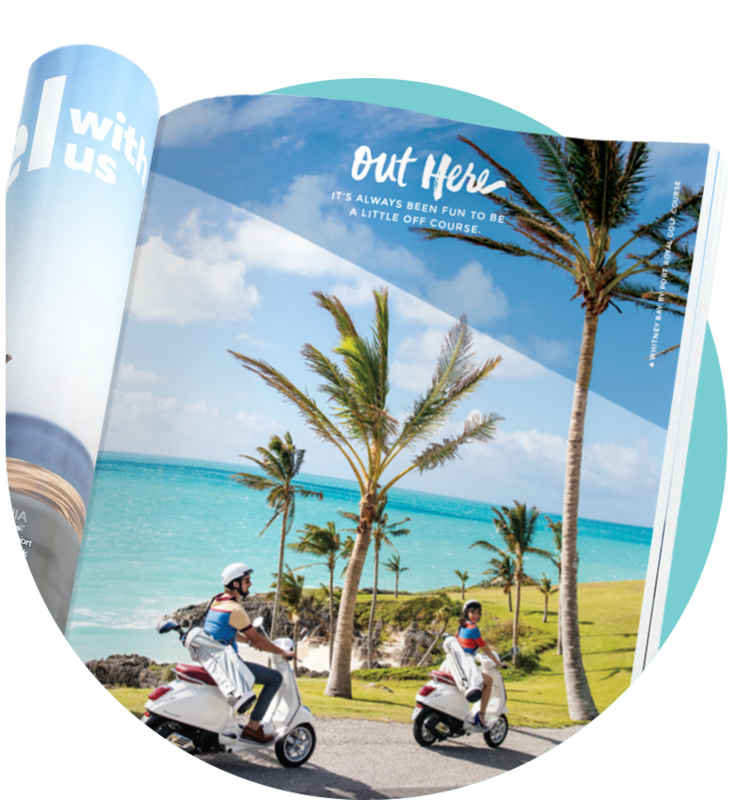 The "Out Here" concept embraced Bermuda's mysterious allure and was launched in several outlets including magazines such as Travel + Leisure.